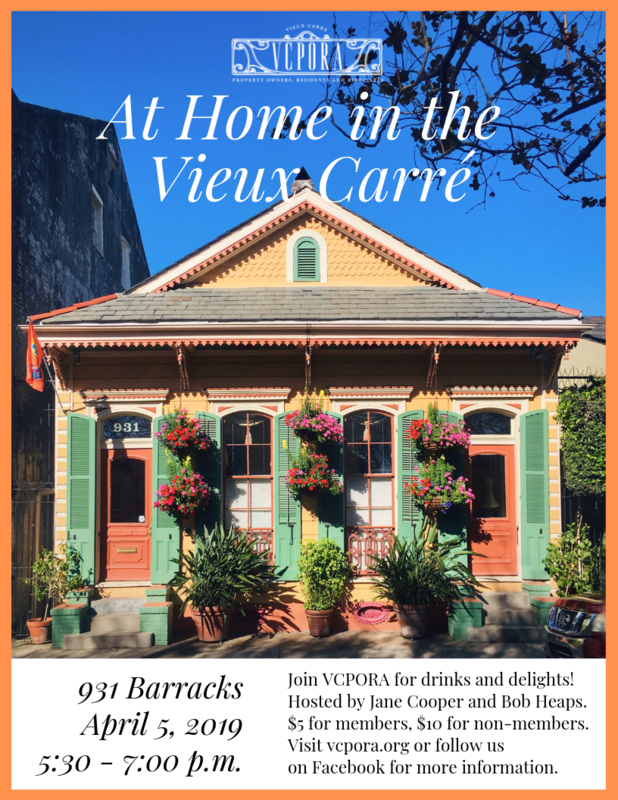 Our springtime events have been truly magical, so get ready for our next At Home in the Vieux Carré! This charming bracket shotgun double overlooking Cabrini Park will be hosted by owners Jane Cooper and Bob Heaps, owners of Grand Krewe Wine and Spirits in Faubourg Marigny. Children are always welcome at these events. As always, admission is $5 for members, $10 for non-members, and free to those who join that night! We extend a special thanks to Lisa Shedlock & Ed Shedlock of The Shedlock Group for their generous sponsorship of our 2019 At Home series.